SingleMomtism: Netflix Nuggets: Check Out "The Irish Pub!" 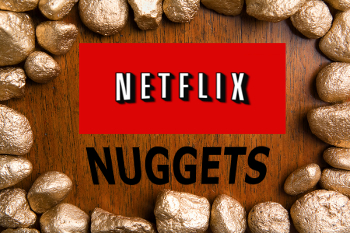 Presenting my new weekly feature: Netflix Nuggets! As I've no doubt mentioned before, I have a rather unhealthy need to binge-watch Netflix. This is in part due to the fact that I don't have cable (good riddance!) and I'm alone every other weekend and have a rather pathetic social life. Anyway, Netflix is my buddy, and as such, we've gotten close enough for me to learn many of its hidden secrets. My go-to category for interesting stuff is the Documentary category. You never know what you might find! Which brings me to this little gem: The Irish Pub. I'm not sure if I mentioned this, but I'm going to Ireland! It's only going to be a long weekend in Dublin (and in November - not exactly prime Irish weather-time). This is a bucket list item of mine and with the last of my author advance, I found a way to make it happen. The plan is to someday go back and tour the rest of the country when it's green, but Dublin in poor weather is fine because so much of what I want to do is indoors as it is. Anyway, with that in mind, I started perusing Netflix and came across this wonderful little movie that involves a series of interviews with pub owners (and pub dwellers) all over Ireland, discussing the pub in its heyday, the changes in the country that have affected it, and the history of each pub. It's so beautifully shot and the stories so compellingly told. I just wanted to pull up a stool and have a pint with every one of them. So pour yourself a Guinness (and don't forget to let it settle! ), then check out "The Irish Pub." You can find it on Netflix here, if you'd like to add it to your queue.